I went to Border Cafe in Cambridge with my coworkers for some good food, chips and guac and cheap margs. I got a the Route 66 Chop Salad there that I’ve been dying to make a copycat. 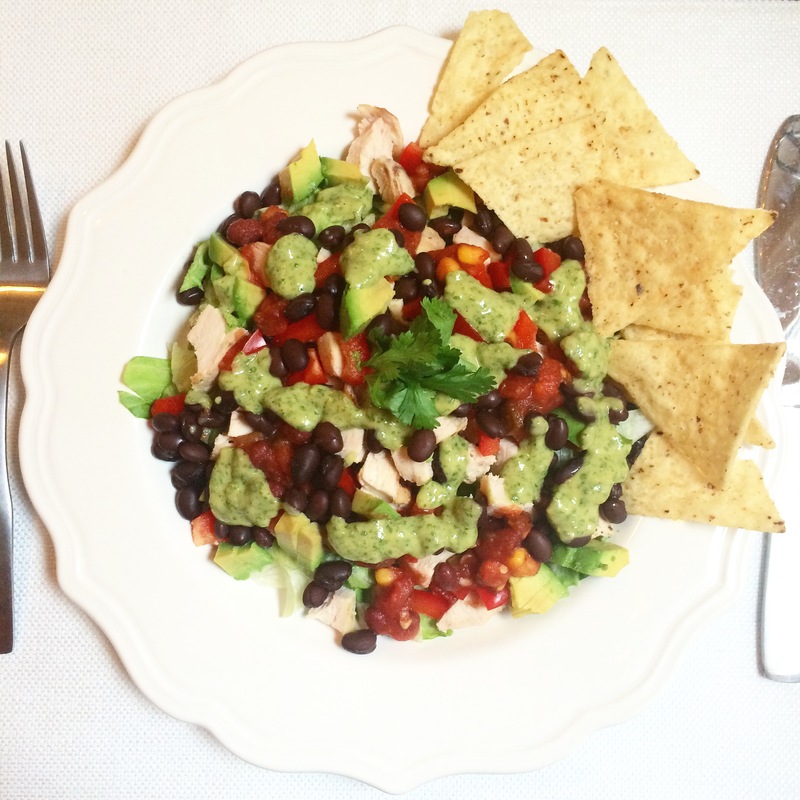 Thus, I give you my Chopped Mexican Salad with an Avocado Cilantro Dressing. I enjoyed the charred flavor from the grilled chicken paired with the fresh cilantro and tart but rich avocado-based dressing. You’d never know this Avocado Cilantro Dressing didn’t have Greek yogurt, sour cream or something rich and decadent added to it. Nope, just some avocado to do the trick. It doesn’t need anything else to be delicious. I lightened up my salad and omitted the cheese and any crisply fried tortilla chips. I will be bold and say I think any salad is better chopped. It’s less messy to eat. Plus, there’s something fun about it being chopped. Don’t sure what I mean? Try your next salad chopped. In a small food processor or blender, combine all ingredients (except for agave nectar) for the dressing. Blend until smooth. 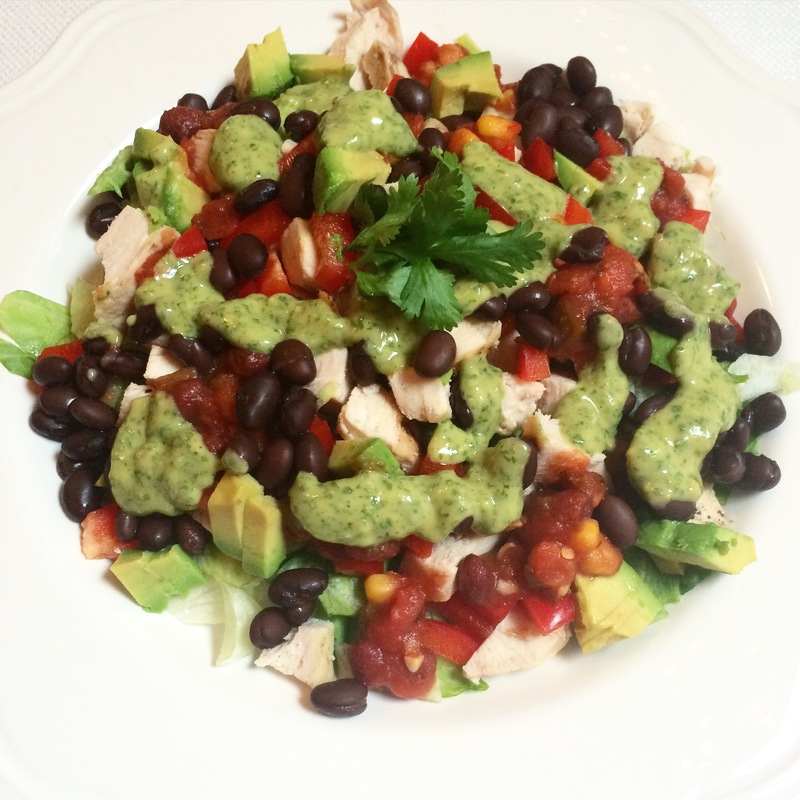 If dressing too tart from the lime juice, try adding a dash of agave nectar. Either plate everything for the salad and top with the dressing or in a large bowl, toss all ingredients until salad is evenly coated. Salad inspired by Border Cafe‘s Route 66 Chop Salad. 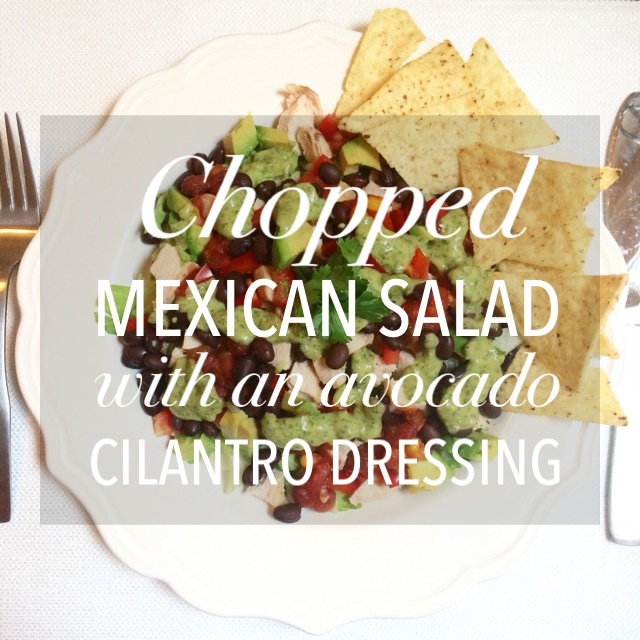 Dressing adapted from The Minimalist Baker‘s Creamy Cilantro Lime Dressing.